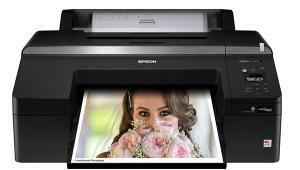 The new Epson Stylus Photo R2000 is a sleek and compact enclosure that contains many ways to print digital photographs and CDs easily and efficiently with striking results. 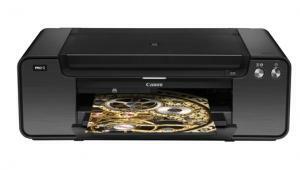 The Epson R2000 is one of very few photo printers that will print on CD-R and DVD-R discs. It reproduces photo-designed labels with brilliant quality and color to label a disc. 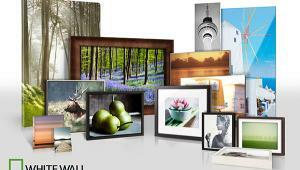 Photos courtesy of Epson America, Inc. The particular new feature of the R2000 that was most attractive to me was that it could be connected by a Wi-Fi (wireless) interface. I have been using an Apple AirPort Wi-Fi network for several years now, and all my five Macs are connected to each other. It’s a true convenience to be able to put the R2000 anywhere in your house and print with it if you have more than one computer. The R2000 is one of the few photo printers to work on CD-R and DVD-R printable discs, and it does it very well. Some of the print performance advantages include a new UltraChrome Hi-Gloss 2 ink set, and AccuPhoto HG Image Technology, created in collaboration with RIT (Rochester Institute of Technology) to refine the screening architecture. This helps to maximize the color gamut as well as smooth tonal transitions and gradients. This improved technology is physically supported by a new MicroPiezo AMC print head similar to that found in Epson’s latest professional wide format printers. One of the advantages of its extraordinary ink color set is that it reproduces skin tones realistically, making all kinds of people pictures look their best. 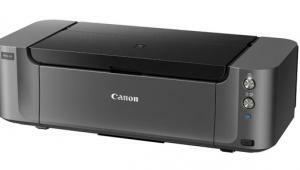 On an economic and convenience level, the R2000 has larger ink cartridges, and has auto-selecting black ink between photo for RC paper and matte for fiber paper. Paper feeding is enhanced with a multi-sheet top loader, a rear single sheet for heavy and special media, as well as a front, straight-through paper path for up to 1.3mm thickness. And of course the CD/DVD facility also uses this front access. 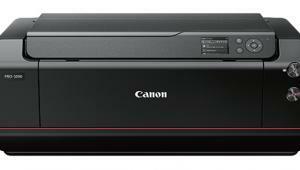 All of the added features fit into a printer almost the same size as the R1900, and with an even sleeker appearance. 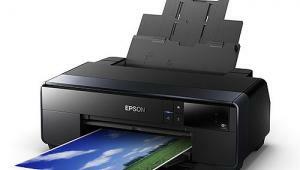 Before I received the R2000 to review, I had a lengthy discussion with the product managers at Epson. Of course a good part of it was an explanation of the new technology in the R2000, but I made a point of focusing on paper. It is my belief, based on a lot of testing, that no matter how good the printer, it cannot do its best in making good images if they are printed on poor-quality paper. Epson has some very good papers. Some are practical, like what used to be called Coated Quality Ink Jet Paper, but is now titled High Quality Ink Jet Paper. This is a coated white stock about the same weight as plain paper, yet will reproduce very good photographic prints. This is great if you are including photographs as part of a text document, or making photo records stored in loose-leaf binders in plastic protective pages—and I use it to send hard copy prints of image files I send to our editorial office. 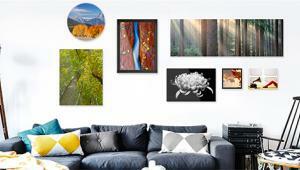 The Epson R2000 reproduces the tints, hues, and shades of nature critically with superior fidelity to the subject. I also mentioned what I have found to be the best quality paper for reproducing photographs affordably, PremierArt Matte Scrapbook Photo Paper. The managers agreed the name has an unfortunate connotation, and hardly suggests to Epson customers it is the best quality long lasting paper in the consumer price category they have. 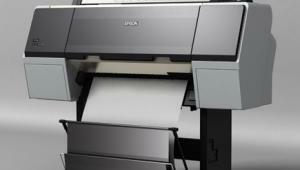 But it is essentially identical in printing quality to the Epson Professional Paper Hot Press Natural. 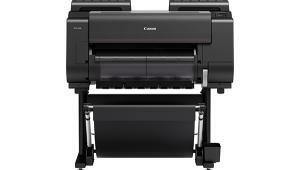 When I received the R2000 the papers sent with it did not include any of the ones I would use to obtain good prints. So I complained about this fact, and returned most of the papers sent to me. 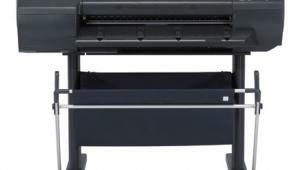 Epson sent some of their Professional 300 gsm PremierArt Smooth Hot Press as a replacement. Since then I have found that the same weight as Scrapbook, 205 gsm, is also available in 13x19” sheets directly from PremierArt through their web store, www.ultrafineonline.com. So I ordered some and found it is the same Smooth Hot Press paper as Scrapbook, so now I have my favorite and the best at a moderate cost in both 8.5x11” and 13x19” sizes. 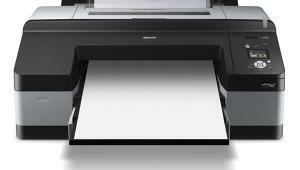 Although the Epson R2000 does not have black-and-white support, converting the files to RGB and using color-managed printing reproduces excellent neutral gray prints. Yes, the R2000 does an excellent job making prints on glossy and luster RC Epson papers. But it still looks like what it is to me, plastic, just like the prints produced by box-store labs. But being common and something many are used to and familiar with, I can understand why it is preferred. But don’t have expectations that the next generation will get something to look at, because the RC paper may not last as long as the ink you put on it to make your prints. However, if you want a print that’s ideal for hanging on a wall that will keep beautiful for generations, the Scrapbook paper and the Smooth Hot Press make superb images for exhibition. Many of us travel to see different and interesting places, and we photograph them as well. The Epson R2000 reproduces images of places in the full tones and colors that make them live again like in our memories. 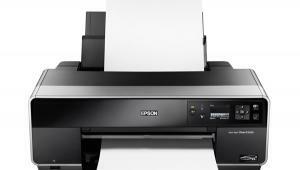 Epson Stylus printers show a progressive improvement with each model, beginning with the R800 and the R1800, to the R1900, and now the R2000. For a photographer, I think it is the best buy in a high-quality print maker. My Epson R800 and R1900 have been trouble free and the software operation, even after many computer upgrades, continues to function using the same basic workflow. In other words, it is as easy as it can get in the process of making highly accurate, color-managed prints that are true to the image file and what you see on screen. 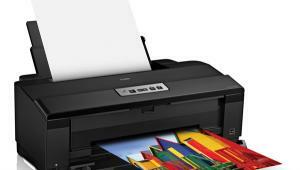 At the time I was finishing this report Epson was advertising a price with $150 off the $499 list price. Even at list, it is still the least costly 13” printer that can produce pigment-ink prints that will last a lifetime and more. I almost wish my R1900 needed replacement, so I could get an R2000, but this line of Epson printers is reliable, so I will continue to enjoy what I have. Once a black-and-white grayscale file is converted to RGB you can easily add color from a subtle warming to a deep brown tone, or even a blue tone, as well as any color in the spectrum to create interesting monochrome prints from grayscale files. What I am about to explain works with a fully color-managed computer using Photoshop or an image editor to control color instead of printing using the Epson driver to control color. I will go through a monochrome workflow. The first thing you need to do is change the image mode from grayscale to RGB, if your monochrome image is in grayscale mode. This allows the tone of the print to be controlled by the source profile (such as Adobe RGB) and the printer/paper profile. You can keep the neutral gray color of a grayscale print, or you can use the image editor to add a color like brown or blue. Some plug-ins like onOne’s PhotoTools include the ability to add color like sepia easily to a gray RGB image. 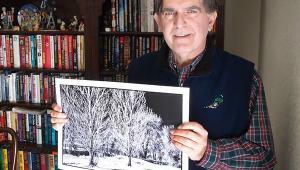 Then print this grayscale/RGB image file the same way you would make a color-managed print of a color photograph. If the grayscale neutral gray is not added to with color toning, then the image I find remains neutral gray, and has the appearance of a standard black-and-white print and an even better print than a standard grayscale print. 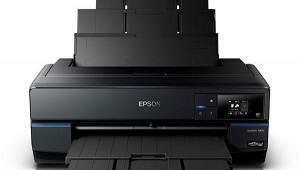 For more information, contact Epson America, Inc. at: www.epson.com. I was looking for this kind of information and enjoyed reading this one. Keep posting. Thanks for sharing.. This is a pretty awesome article. One of those articles that you find after weeks of searching. And I am grateful that all of that searching was worth it.For more rustic interior ideas you use this link. Amazing Post! So pleased to hear about such technology wonders. Amazing Post! So pleased to hear about awesome technological wonders. These pics are really great, tips shared by you is awesome, I am very much found of photography and i found this entry very informative and helpful for me.. it will be very helpful if you can post some more tips and tutorial. 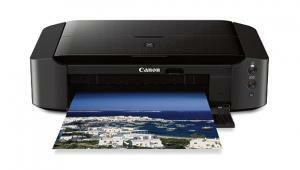 This is definitely a printer worth checking out if you're a big-time photo enthusiast. Regards, Joshua.